Nick's strike rate recently at finding good birds has been extraordinary, so I should have trusted his instincts a little more when he called me over to look at a gull on Alexandra lake. My first reaction was positive. Long narrow bill and sleek head-shape looked good for 1cy Caspian Gull. But things started going downhill from there. The bird appeared small and not upright enough for a Casp, its head was darker looking than I would like, and there wasn't really a distinct dark nape around the neck. The tertials were ok-ish, but the greater coverts were all wrong - lots of white and appeared heavily notched. 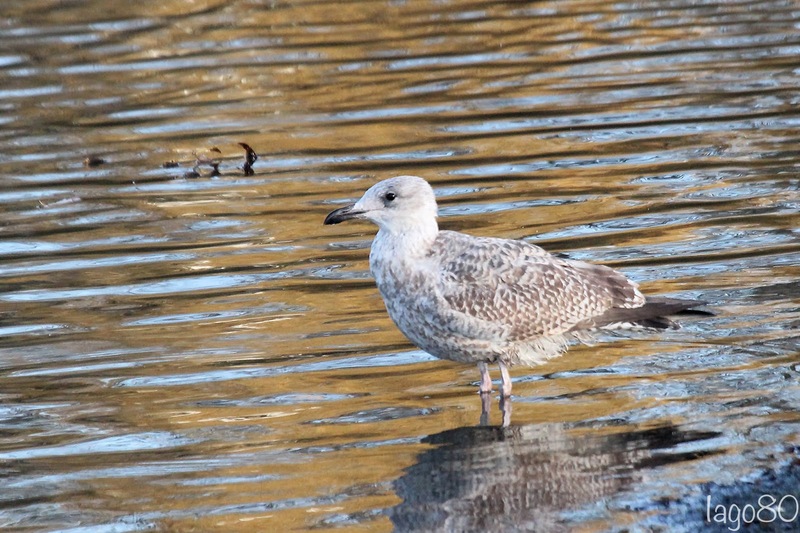 I took a few pics but gave my opinion that I thought it was a Herring Gull. There wasn't much push back from the others, so we left it. It was only when I got home and looked at my pictures, that I started to doubt my judgement. The main thing I seemed to have completely overlooked in the field was the advanced moult on the scapular feathers. Perhaps my photos were a bit over-exposed but the head also seemed cleaner white than I remembered, so I put it out to others as a possible cachinnans/argentatus hybrid. "So, yes, I would say it is a 'western' Caspian Gull and as the boundaries blur over the years, more and more of these birds do exist. 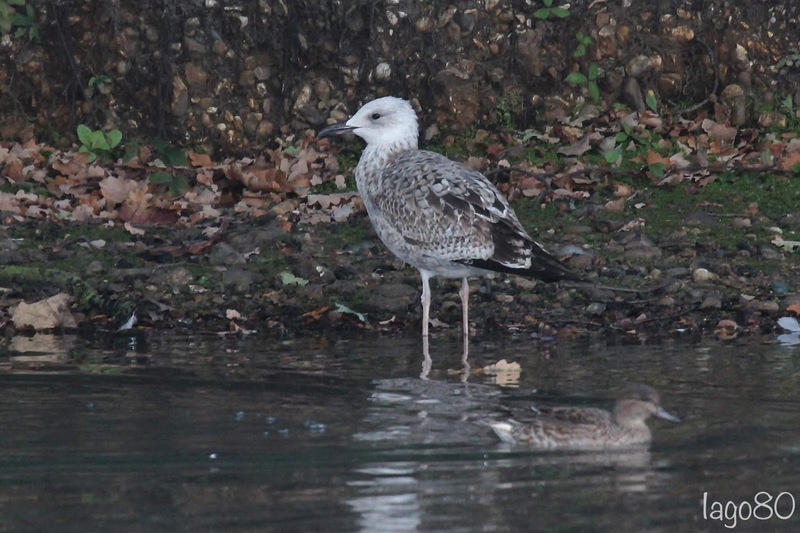 But for me, it is fine for a '21st century Caspian Gull'. 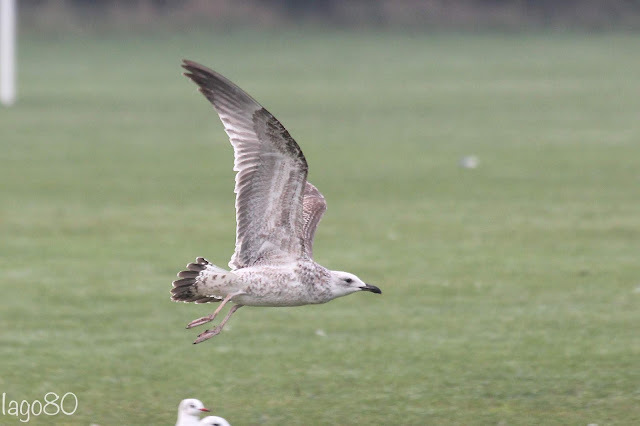 If you had asked me whether birds like this were Caspian Gulls back in 2006-2008, I would have said 'no' purely on the basis of the one feature not fitting. 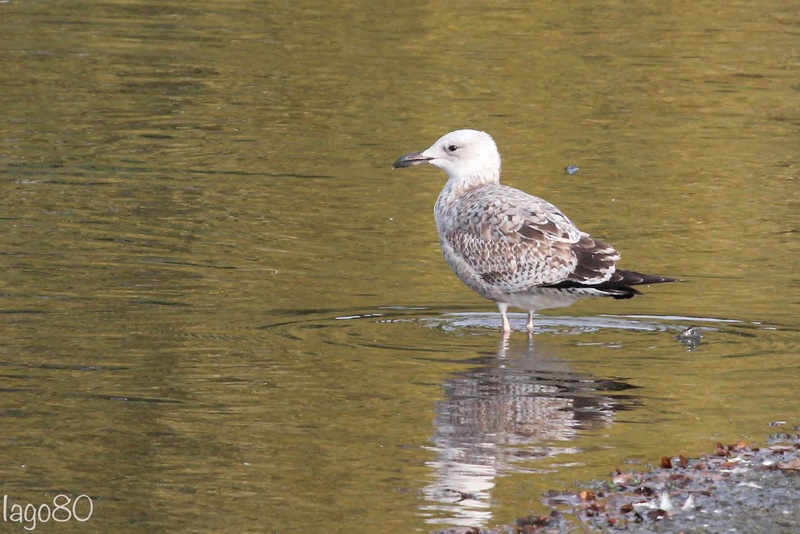 But with so much mixed genes, there is a one hell of a hefty amount of Caspian Gull in this bird." The fact that it was a full Patch tick for me should have been cause for celebration. Unfortunately, this was dampened by my guilt at not properly alerting others to the possibility that we were dealing with a Caspian. Looking at the photos afterwards seemed so much clearer than when I was fixated on a few unclear features in the field. Oh well! We live and learn. I am just hoping the bird sticks around long enough for all of my patch-colleagues to see it.